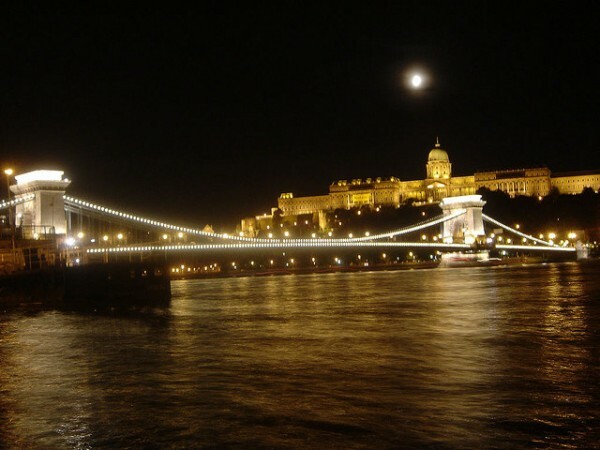 Budapest is one of the most beautiful cities in Europe with plentiful tourist attractions. Among the distinctive architectural works of the city the bridges are worth mentioning as well. The first one of them was finished in 1849 and the last one in 2008. 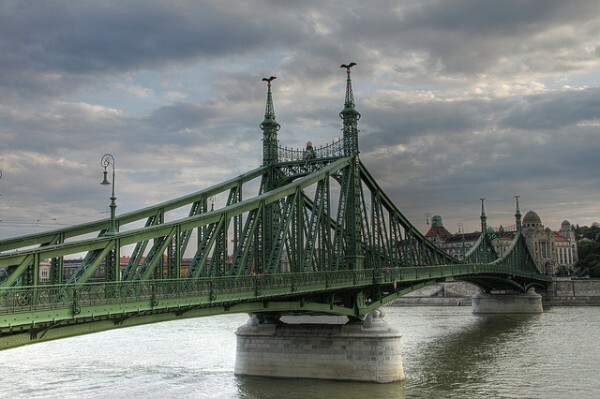 All of the bridges have an interesting architecture and the lighting offers the most enjoyable spectacle, but we would like to present you the top 5 old bridges of Budapest built between the years 1849-1937 before the Second World War. The oldest and most beautiful bridge of Budapest is the Széchenyi Chain Bridge (Széchenyi lánchíd), which was finished by 1849. It is one of the monuments of this gorgeous capital city. 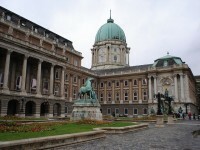 With the Buda Castle in the background offers a beautiful sight, which attracts many tourists to Budapest. The Chain Bridge was built to the request of Count István Széchenyi by architect William Tierney Clark and contractor Adam Clark between the years 1839-1849. This bridge was also damaged in the Second World War and was rebuilt in 1949, on its 100th anniversary. 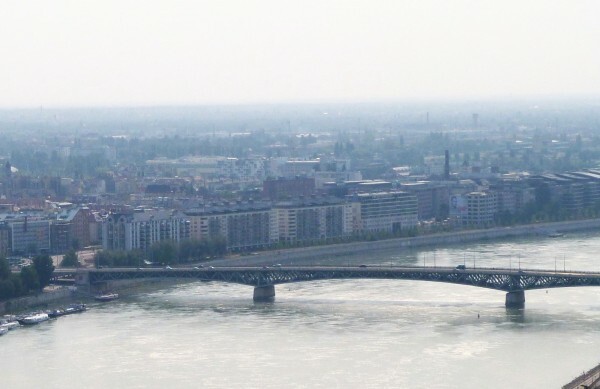 The Margaret Bridge in Budapest (Margit híd) connects the Saint Stephen Boulevard (Szent István körút) with the Margaret Boulevard (Margit körút) touching the Margaret Island (Margitsziget). It was built as the capital’s second permanent bridge between 1872 and 1876, and it was inaugurated on 30th of April in 1876. Reconstructions of the bridge were made in 1978, and the poor condition of this beautiful old bridge justified a larger renewal that started in 2009. The reconstructed bridge was opened in 2011. 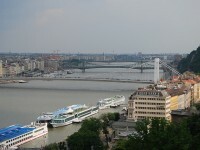 The Liberty Bridge in Budapest is the third bridge of the city. 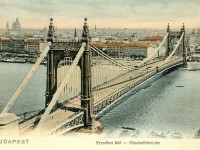 It was inaugurated in the summer of 1896 as Franz Joseph Bridge (Ferenc József híd). It crosses the Danube between the Szent Gellért Square and the F?vám Square and it is the continuation of the Small Boulevard (Kiskörút). In a year and a half the bridge also had a tram line. The bridge was renovated in 2007-2008. 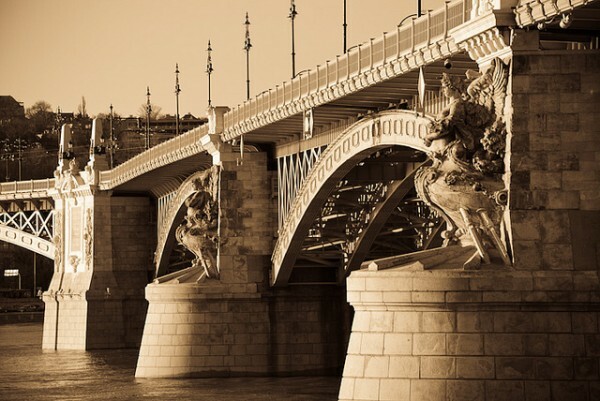 The old bridge of Budapest named after the popular Habsburg queen, Sissi (Queen Elizabeth), was the only bridge that could not be reconstructed after the Second World War. 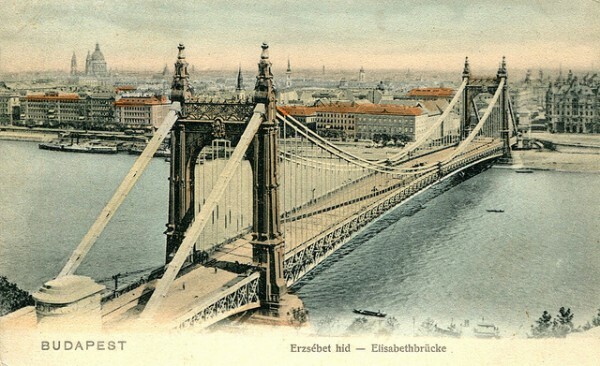 Out of 43 applications that they received, the old Elisabeth Bridge (Erzsébet híd) was constructed based on the plans of Albert Czekelius and Anthony Kherndl. At that time nowhere on the earth existed such a long chain bridge without middle pillars. The Construction of the bridge began in 1897 and the bridge was inaugurated in 1903. It was on the first place in the world with its 290 meter bridge span until 1926. The bridge was blown up in 1945 so badly that it couldn’t be saved. Instead of its renovation it started the building of the new Elisabeth Bridge in 1960. The Petofi Bridge (Pet?fi híd) is the last bridge of Budapest that was built after the Second World War. Originally it was called Horthy Miklós Bridge and was designed by Hubert Pál Álgyay. It was built between the years 1933-1937, and on the 12th of September 1937was opened to the public. It was damaged in the Second World War and rebuilt between 1950-1952 and on 22nd of November 1952 was opened to traffic. Since then has the name of the Hungarian poet Sandor Petofi. The bridge has a length of 378 m, 514 m with the driveways and a width of 25.6 m.